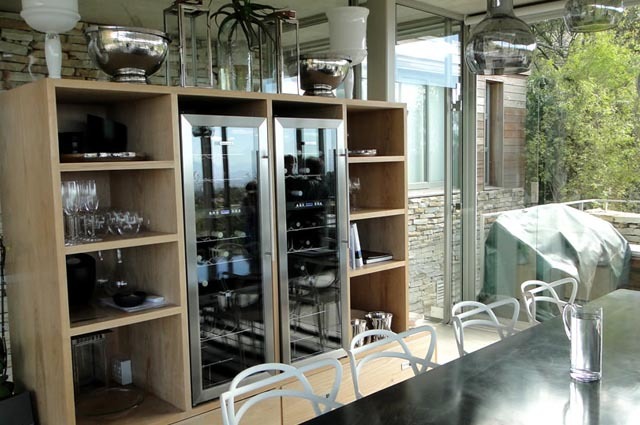 Beau Constantia is a luxury boutique wine farm situated on the north-facing slope of Constantia Nek in Cape Town, South Africa. 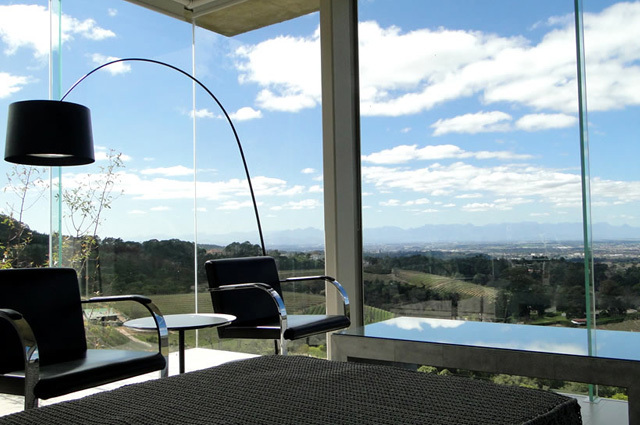 The idyllic elevated position overlooking Stellenbosch, the Helderberg Mountain ranges and the False Bay allows the vineyards to be exposed to the cool ocean-chilled winds. 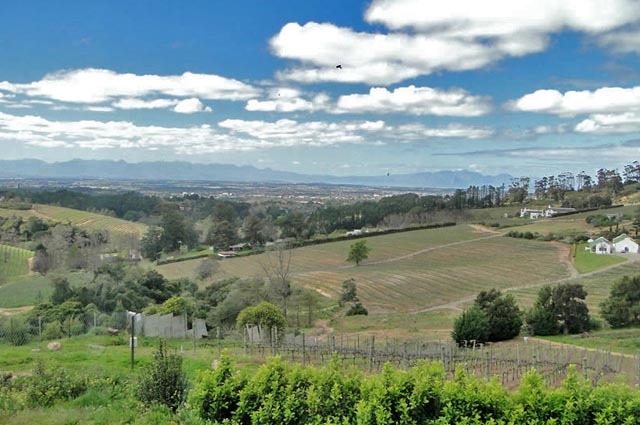 Elevated as far as 350m above sea-level on the Constantia mountain range, this astonishing site produces modest quantities of spectacular grapes. The grapes were hand-picked at optimal ripeness and pressed as whole bunches to extract the sweet golden juice and only 1800 bottles of the 2012 Viognier were produced from 9 year old vines. The wine has a striking perfumed nose of coriander spice, violets and apricots, a classic example of this rare white wine variety. The palate is full and rich and packed with flavours of white peach and orange blossom, but retains great balance as a result of a poised acidity and integrated minerality. The wine is both graceful and vibrant with a long, well-defined finish. 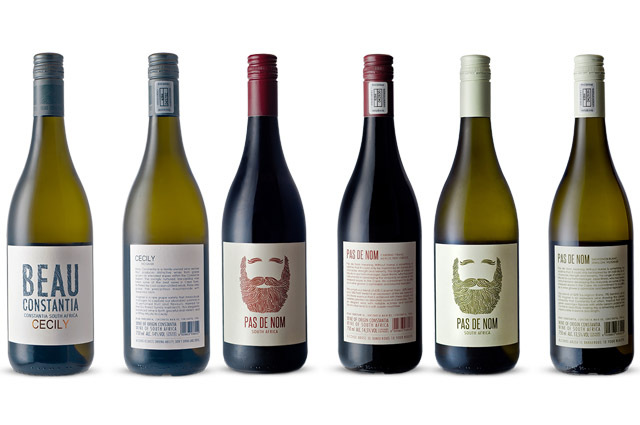 The Pas de Nom Range of wines is a tribute to Japie Bronn, the farm manager at Beau Constantia, who has dedicated his life to vineyards and wine production. The wine is bright dark crimson with a russet rim. Notes of red cherry, cedar wood and floral perfume on the nose, which follow through beautifully to a rich and textured palate that is balanced by a refreshing minerality. This elegant wine is full and vibrant with round, juicy tannins that lend to a soft, supple mouthfeel and a long finish. This production of this vintage of the Pas de Nom White was only 1900 bottles. It is a perfectly balanced blend of 55% Sauvignon Blanc, 37% Viognier and 8% Sémillon. Clear and bright, the wine has a light straw colour tinged with lime green. Notes of pear, green fig and white peach on the nose, which follow through beautifully to a full-flavoured palate that is soft, round and balanced by a refreshing minerality. 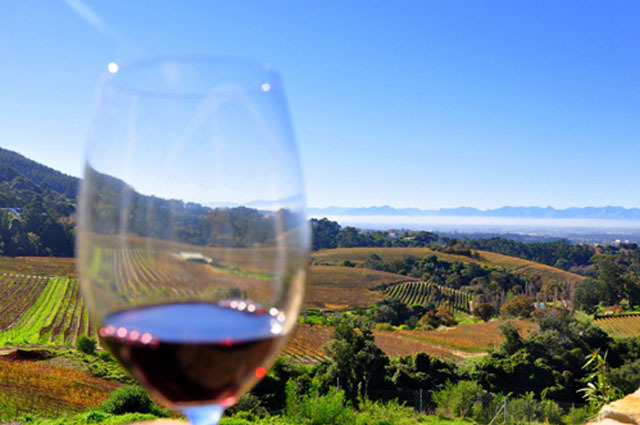 This exquisite wine is rich and vibrant with a long, well-defined finish. Closed on Christmas day, Boxing day, Good Friday and New years day.